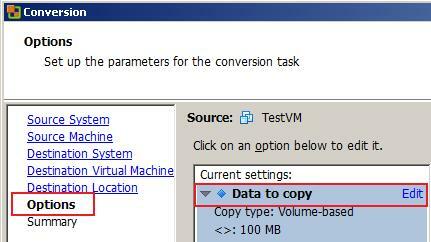 Now change the data copy type to “Select volumes to copy” and click “Advanced…”. With “Add disk” you can create a new virtual disk. Then mark a partition and say “Move down” to change the destination layout as you want it.